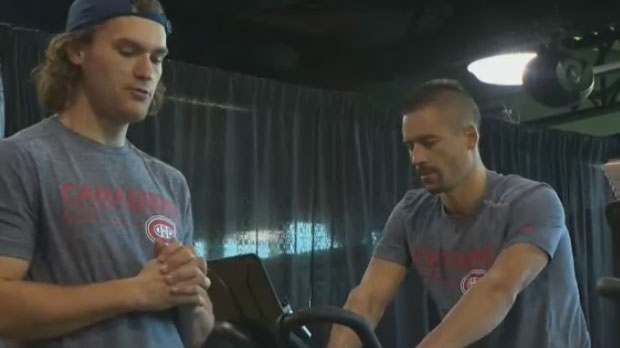 The Canadiens’ tumultuous off season is officially over. After a summer that saw no playoff action, huge turnover in the coaching department, an influx of prospects from the draft, relative inactivity during free agency and, of course, the trade of the team’s best goal scorer and captain, players reported for the first day of training camp on Thursday. A day prior, the Canadiens wrapped up their rookie camp, and 22 of the 30 players who attended were invited to stay at the main camp. Those players will be fighting for a chance to play for the big club, which is already hampered by major injuries, despite not playing a single game yet. Defenceman Shea Weber, one of the favourite’s to take over the captaincy from Max Pacioretty, will miss several months after undergoing surgery in the off-season. Also expected to miss the beginning of the season is forward Andrew Shaw. Pacioretty was traded days ago to the Las Vegas Golden Knights for forward Tomas Tatar, prospect Nick Suzuki and a second-round draft pick in next year’s draft. The Habs will hold a public scrimmage at the Bell Centre on Sept. 16 at 1:00 p.m. The Montreal Canadiens reported for the first day of training camp on Thurs., Sept. 13, 2018.